Charity Ambassadors and supporters gathered at a private home in Darling Point to hear Ovarian Cancer survivor Merle Finkel describe her battle with the deadly disease. Mrs Finkel is the Director of the newly formed Australian Gynaecological Cancer Foundation (AGCF) which hopes to raise awareness and funds needed to fight ovarian cancer which is often referred to as "the silent killer" due to the difficulty diagnosing symptoms. Ms Finkel was diagnosed 4 years ago has been through a series of chemotherapy sessions. 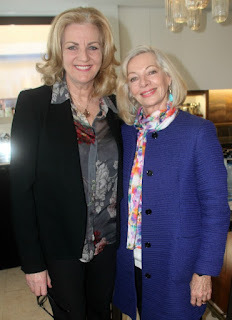 She became determined to inform other women about the importance of regular pap smears and sees the launch of the AGCF as a fitting tribute to her friend Senator Jeannie Ferris who passed away earlier this year from the disease. 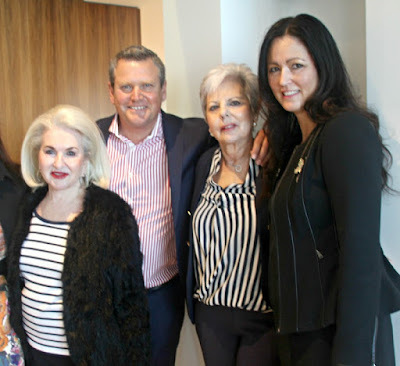 Among the Ambassadors who hope to raise awareness and donations are Marie Sutton , Channel 9 'Today' reporter Tim Gilbert, Julie Singleton, actress Carmen Duncan who is appearing in the new musical Anything Goes, fashion designer Camilla Freeman-Topper and comedienne Jean Kitson.